Photo: The region surrounding Kengtung can be beautiful. Kengtung is the largest town in eastern Shan State; a former British administrative outpost, it was once known as the capital of the Golden Triangle and today is one of the remotest parts of Burma that tourists are permitted to visit. Located in the far southeastern corner of sprawling Shan State; China lies a short drive to the north, the Mekong and Lao border just to the east and Thailand a three hour drive to the south. With all these influences plus its Shan and hilltribe residents, you don’t really get the impression in the Kengtung area that you’re actually in Burma. Few local women wear the usually de rigueur thanaka paste, you won’t see many men in longyiis, we couldn’t find any Burmese restaurants and it’s rare to hear Burmese being spoken. Thanks to the myriad minority hill-tribe groups and urban and valley Shan the lingua franca is the eastern Shan dialect, which is very similar to Thai, while Chinese yuan and Thai baht are the preferred currencies of money changers. Most Bamar people you see will be police or military and their families. The town is now officially called Kyaing Tong in Burmese though you won’t hear any locals use this name. Kengtung is an important administrative town for the Burmese government though with the Wa to the northeast and the Shan State Army (SSA) still active in the north and west this has historically been a volatile part of the country. Today the Kengtung region is pretty calm -- no doubt in part due to the growing affluence thanks to the Thai and Chinese border trade and certainly ready to welcome tourists. A picturesque town of some 60,000 inhabitants, Kengtung is built on low hills around Naung Tung Lake. There is as yet little new construction and colonial period buildings surround the small lake, while old teak houses line the winding streets leading up to the stupa-topped hills. The bustling morning market district is the commercial centre of town and many of Kengtung’s hotels are found in this area. It is overall a pleasant destination in its own right with a better choice of accommodation than in many similar-sized towns (though without a great selection of eateries), and is surrounded by impressive scenery and numerous traditional hilltribe villages. The nascent trekking industry shows huge potential. Kengtung is situated in the centre of a wide valley, and a decent road leads east and west to outlying villages, with sealed roads also heading northeast past the airport to Mongla (Monglar) and the Chinese border, and south to Tachileik and the Thai frontier. Many of the town’s newer buildings, as well as more hotels, are located slightly out of town along the airport road. Most of the town is easily negotiated on foot and tuk tuks and moto-taxis are plentiful for more far flung destinations. Buses tend to stop outside their respective company offices, most of which are also located fairly close to the market. The remains of an old and irregularly shaped city wall can seen at certain points and the town originally had no less than 12 entrance gates. The eastern gate near the Princess Hotel is the best preserved today. Kengtung currently has electricity from around 18:00 until 20:00, though it does vary and needless to say isn’t always very reliable. Hotels and larger restaurants will have their own generators. 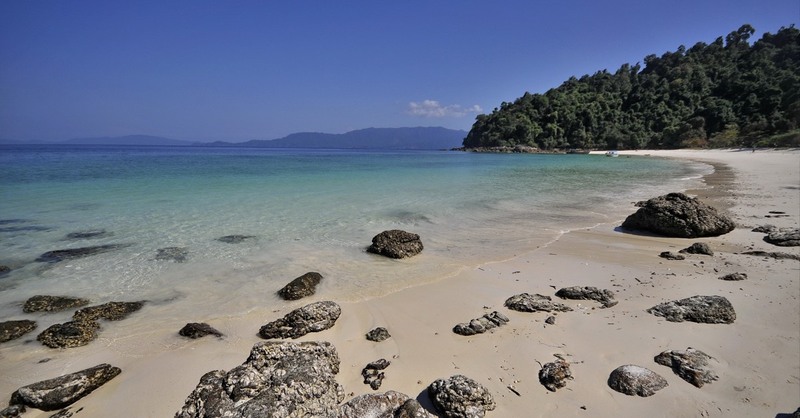 Browse our independent reviews of places to stay in and around Kengtung. Read up on where to eat on Kengtung. Check out our listings of things to do in and around Kengtung. Planning on riding a scooter in Kengtung? Please read this. 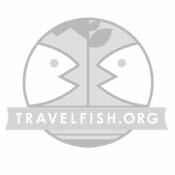 Use the above map to find specific destinations in and around Kengtung which are listed on Travelfish. Bed icons indicate a guesthouse, hostel or hotel, the knife and fork is an eatery or bar and the four-way circular thingy marks sights, attractions and other points of interest. Click on any icon for a short pop-up and a direct link to the page for that spot. If you are in the area, use the teardrop icon near the top left to show your position on the map (you'll need to allow position sharing for this last feature to work).